The WKF Competition Rules Commission is chaired by WKF Executive Vice President, Gunnar Nordahl, and the test was conducted together with commission members Yrsa Ranki, Luca Valdesi and Javier Escalante. They were assisted by five Swedish and two Norwegian referees that served on the seven-judge referee panel. The goal of the WKF Competition Rules Commission is to present to the consideration of the WKF Executive Committee, within the current year, a proposal for a complete new system of Kata evaluation. 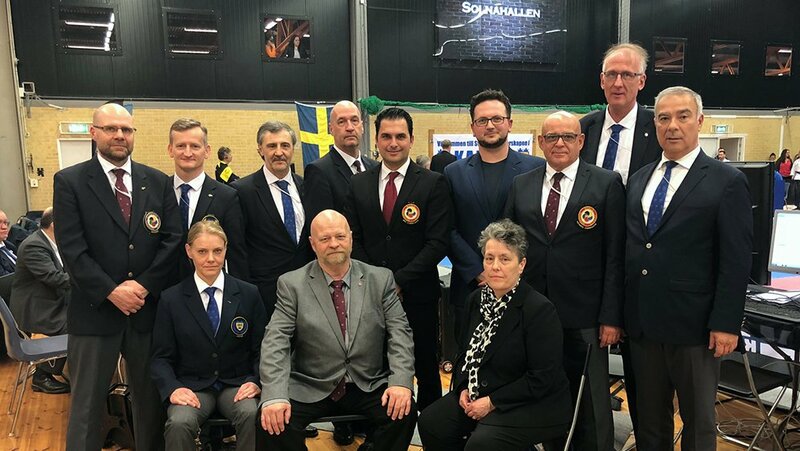 WKF Competition Rules Commission chairman Gunnar Nordahl appreciated the support of the Swedish Karate Federation and acknowledged the successful outcome of the test. “The new system will significantly reduce the time of eliminations to about half the time or less. The test provided excellent proof of concept and valuable lessons learned for the continued development of the system,” said Mr. Nordahl.